After the most tumultuous, scandal-plagued month in the history of the NFL commissioner’s office, we speak to the executive director of the player’s union about where the league goes from here. This has been the most tumultuous month in the history of the National Football League. Below is an eye-opening interview with the National Football Player’s Association Executive Director DeMaurice Smith, who spoke to me about where the league goes from here. My questions have been edited for clarity, but Smith’s answers are as given. Dave Zirin: I believe that the cover-up allegations that have plagued the National Football League over the last month could have been avoided if sanctions for issues like domestic violence had been collectively bargained instead of being left up to the whims of NFL Commissioner Roger Goodell. Do you agree with that? DeMaurice Smith: Well, yes and no. Look, the reality of it is… And obviously this is colored a bit by my background as a prosecutor/defense lawyer—whether I was handling crimes in the District of Columbia or handling high-profile issues for Fortune 500 companies where people do things that we didn’t want them to do—where I started is, look, we’re all flawed people. And as a result, there were always going to be times where people end up doing things that we wish they hadn’t. So that’s where it starts. Where you pick up, where I think—insightfully—you’re right, is after something like that happens, when we know that those things are going to happen. What we have always relied on is a transparency of process, a belief in due process, a fundamental vision of fairness for everybody. And, when that process breaks down, it breaks down on top of the issues that we know are going to happen. So, to your point, yes, if things are handled in the right way we tend to get through them… but much like the criminal justice system, where every day is predicated on something bad happening, the reason why it doesn’t all crumble down on itself is that there is a process that people have faith in. And when they lose faith in that process, that’s when you find yourself in sort of intractable situations with imperfect answers. A lot of folks out there have no faith in the NFL’s process. Can you understand why many people, myself included, think that the NFL needs a new commissioner at this point? That’s not my job. As you can imagine, I’m able to fill a day with the number of the things that I have to do without making or expressing opinions about other people’s jobs. I never concern myself with it. What I do believe is important is: one, this is a union that prides itself on being a labor union, just like the AFL-CIO, just like the Teamsters, just like the Communication Workers who—by the way—should rightfully congratulate themselves on a new deal in the airline industry. But, that said, our job is to serve our members and to make decisions that are in their best interest. And that’s what we’re going to do. And I don’t think that it is every helpful to overly personalize this process. Nobody hired me to take a position on Roger Goodell. And when I look at my duties as the executive director, there isn’t one of them that says to react personally about anything. So our job is to take a look at why we are here. I understand the outrage of our fans. I certainly understand the dissatisfaction that’s been expressed by our sponsors over how these issues have been handled. And it’s our intention to make sure that things like this are never mishandled again. Does the union have a position about how the NFL should approach the issue of domestic violence? You’re not going to like my answer. My answer is “yes.”… Look, I think that any system between management and labor that is collectively bargained is not only good for the workers, and in our case the players, but I also think it’s good for management. And here’s the shocker, I actually think it’s good for everyone who are collateral stakeholders in that business. 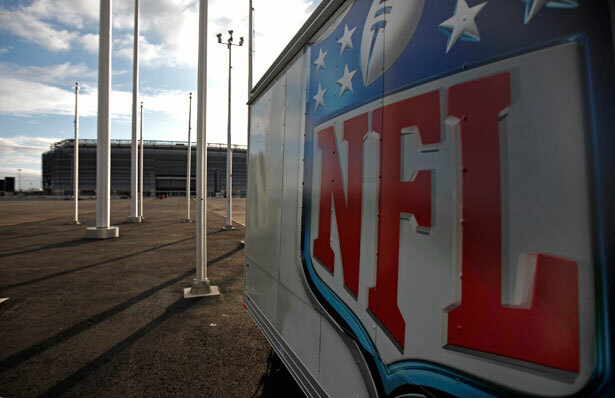 To me, if I were a major sponsor of the National Football League, I would want to know that there was a collectively bargained process that would instill a sense of due process, fairness, transparency that issues like this have been thought out in advance. And we don’t find ourselves in a world where we are experiencing what I would call reactive addressing of critical issues instead of thinking about these things proactively where vision, inspiration, discipline and deliberate thought are always those things that tend to provide more stability in any process than simply reacting to what happens from day to day. So the union has a position on it, we have made a decision that when it comes to looking at the issue of not only domestic violence but violence in the workplace, violence in the home, that we want and will consult a group of people who we believe that will provide us with the best practices, and we will invite the [management of the] National Football League—and I’m happy to say that they’ve agreed to be a part of that process. And we will come up with the best decisions, the best practices in a collectively bargained way. Now, being the executive director of a union means you, of course, have to look out for the greater good and not personalize these cases—not unlike a defense attorney. Everybody has the right to a defense. And you can’t get caught up in saying, “That person just offends my morality to such a degree that I’m not going to offer them a defense, so let’s throw them to the wolves.” In the last year, the union was in the position to have to defend Richie Incognito. Now of course Ray Rice is going to appeal. Are there ever discussions inside the NFLPA about the morality of defending players in certain cases? There’s never a discussion about whether we will defend the rights of our players—ever. And I’m proud of that, because I think that it reflects an understanding by our player leadership. And I’m proud of our senior player leadership when the only question they have is, “What’s our next step?” So, we have the pleasure of working with a group of highly passionate people. But you and I both know, and every first-year law school student hopefully knows, that our criminal justice system and the protections that are instilled in it have all been predicated on some situations where we’re looking at the rights of someone that’s been accused of doing something wrong. If it’s Gideon v. Wainwright about the right to legal representation, that case starts with a multiple arrestee in the criminal justice system. If you look at Brady v. Maryland and the obligations of prosecutors to disclose exculpatory information, those cases began with someone who was accused of wrongdoing and we want that process to ensure that, nonetheless, despite [their] being accused, we’re going to require fairness and due process under the constitution. So, no, we never take a look that there’s a class or a group or an individual who doesn’t deserve due process. It like you’re also saying you stand with the idea of not having players suspended if they’re accused of a crime like domestic violence, but it should be played out through the courts first. Well, what I’m saying is that no one should be punished based on a low threshold of something occurring. And look, personally I’ve been in that situation where I’ve been handcuffed and put in the back of a squad car because I happened to be driving a car early in the morning that the police found suspicious. And that is something that I will never forget. And I was a federal prosecutor at the time. So, no, I don’t believe that punishment should be triggered by something that could be as random and as invasive as the situation that I went through. So, to me I think the trigger here is whether it constitutes punishment. If a player makes a decision, or a person in corporate America who finds himself in an unfortunate situation… corporations every day choose to put people on leave with pay while the process plays out. That’s not discipline, that’s providing the person an opportunity with pay to work their situation out without the stigma of being demoted or deactivated or punished in advance. When things transpire like they have over the last month, is it the sort of thing where it’s exhausting because of the level of scrutiny and pressure, or is it the sort of thing that’s exhilarating because what’s been frankly pointed out are a lot of the holes in the process that you’ve been pointing out for several years. Namely, the Roger Goodell, judge and jury, personal conduct policy. So it’s like, “Ok, I’ve been proven right by the facts. Now we can actually talk about this.” What’s the emotional thrust coming from your office? Oh, from the office… Look, we’re blessed to have over a hundred professionals. And for me, what makes my job extremely easy are the players that I have the privilege of serving and the staff who works tirelessly to protect their rights. The only thing that’s grueling for me is, this’ll be the fourth team meeting in a week. The fourth night I’ve been in a separate city, and I’m looking forward to getting back to DC at some point. That tends to take a toll on a body. But as far as the issues, it’s not that exhausting. To me, I’m actually happy when we all get to have teaching moments. Because there are times when you can talk about issues in a vacuum or when you can raise very complex ideas in a space and in a time when people are not in a position to hear it or understand it or appreciate it. And issues, for example, of personal conduct, the actions of the commissioner’s office, the way in which they conduct investigations, our concern that they reach an answer first, and begin to build evidence for that answer later… as they did in BountyGate. Those were issues that we’ve been talking about since the Bounty investigation, and if you want to look before that, you remember the StarCaps case where they sought to punish players who relied on their own hotline about what ingredients were in a certain drug. A judge in that case—think about this for a second—in StarCaps, a judge in that case came to a conclusion that the commissioner engaged in a game of “gotcha.” That’s what a judge wrote. The judge wrote that a member of the commissioner’s staff was legally incredible to believe. And that was four years ago. So, this is an issue that has percolated to the surface at times, but has percolated over a number of years. And to me, the only good news is that it has reached a public level of consciousness and a sponsor level of consciousness where it now demands change. We’re living in a post–Donald Sterling world. Given what has happened in the NFL, do you think we should live in a sports environment where owners can be asked/told to sell their teams if they’re not acting in the best interest of the league? Let me answer in this way. In football, we have always said that not only do you have to be, obviously, physically and mentally able to play this game. But based on your conduct or other issues, you are not entitled to be a part of this league. And, since time immemorial, more often than not those decisions have been directed almost exclusively, with some exceptions, towards the player. Now, in the past, has the National Football League made decisions like that with respect to owners? Yes. The DeBartolo situation in the past, is one example where they made decisions based on what had happened in the criminal justice system that an owner had to do X, Y and Z. The only thing that I can say about that now is that it does seem to me that fairness and the equal applicability of those standards is what we should all be aspiring to. And, living in a world where we know that there was an owner who has run afoul of the criminal justice system, and was recently disciplined by the commissioner. You know that that’s an issue we talked a lot about, because we wanted to see if the same standards apply to an owner who was arrested and ultimately convicted for misconduct. We know that judges, for example, have written lengthy opinions about owners who were engaged in long-running fraudulent conduct. Those owners weren’t punished. We know that there have been owners who have been the subject of criminal investigations where virtually all their subordinates were convicted or have pled. That owner has not been punished. We know that there was an instance of an owner that, unfortunately a woman overdosed in a house that he owns. No one has said anything about that. So, to me the most really enlightening or inspiring moments are when facts themselves speak truth to power.